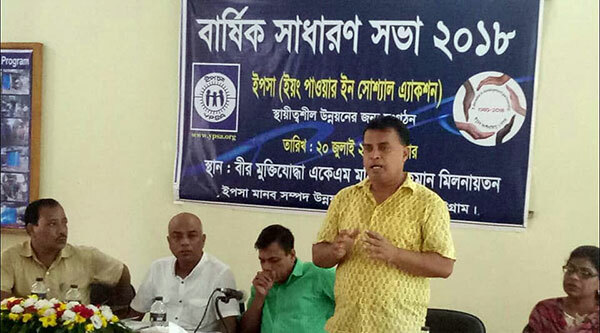 YPSA’s Annual General Meeting (AGM) was held at the Freedom Fighter AKM Mofizur Rahman Auditorium, YPSA- HRDC, Sitakund on 20 July 2018. Organization’s budget for the fiscal year 2017-2018, the financial statements and 2018-2019 proposed budget were presented and discussed in detail in the meeting. 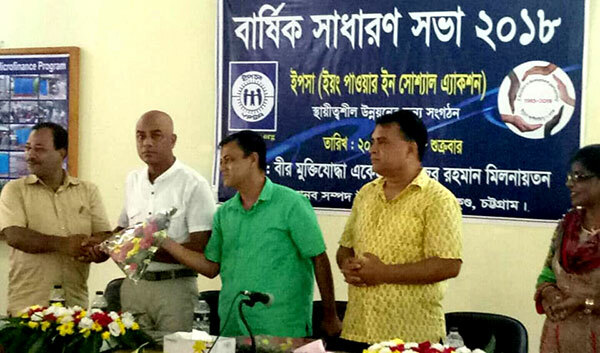 In the presence of Mr. Shamsuddin Bhuiyan, President and Mr. Md. Arifur Rahman, Member Secretary and Chief Executive of YPSA, One minute silence was observed in the meeting along with condolence offer to YPSA’s general member Late Manik Kumar Barua. 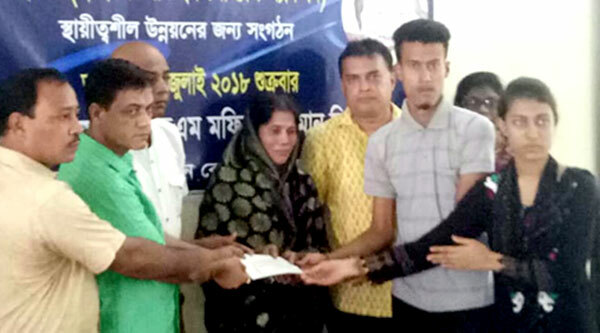 In the initiative of the YPSA, a family member of Late Manik Kumar Barua has been given a cheque of one lakh Taka (0.10 Million BDT) by an international insurance company MetLife. 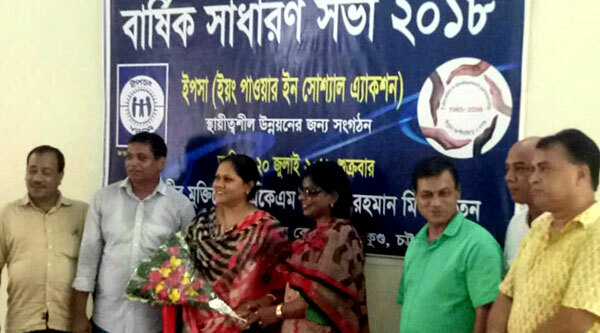 Mr. Mozammel Haque Bhuiyan, Expatriate Founder Member of YPSA and Mrs. Shamsunnahar Chowdhury Lopa, General Member of YPSA have been given greetings and congratulations for receiving doctorate degree.